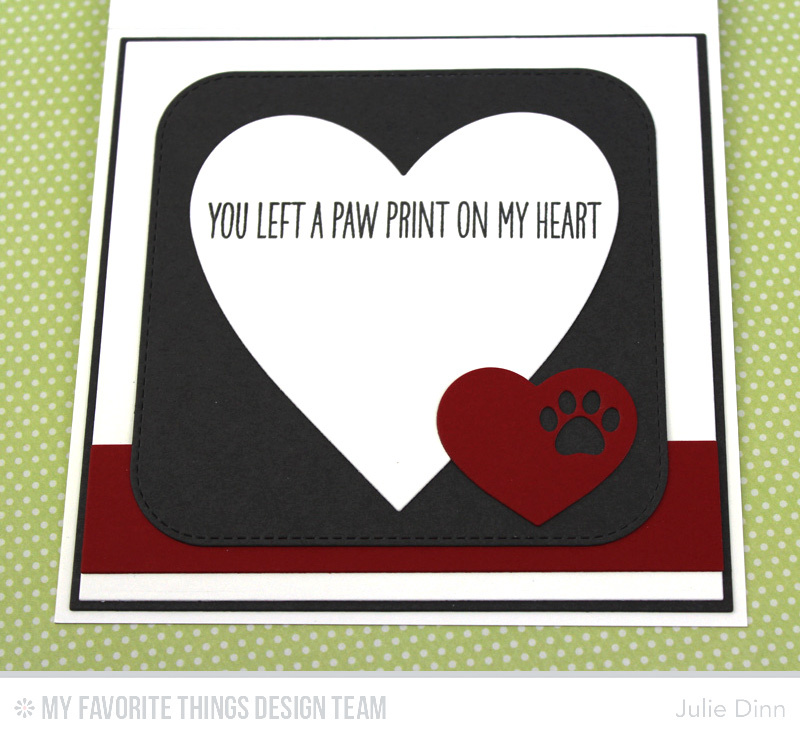 My card today features one of my favourite products from the new release, the Staggered Paw Prints Stencil! I just love those sweet little paws. On this card, I used some Steel Grey ink on Smooth White card stock. I die-cut the card stock with a Heart STAX Die-namics. The word love is from the Love & Adore You Die-namics. On the inside of the card, I stamped a sentiment from the I Knead You stamp set. The sweet paw print heart is from the Pet Accents Die-namics. Nicely done. Have a tail wagging day! Great card...love this month's release! The card is sooo cute with the paw prints on the heart. Super cute card - love the CAs look and the paw prints in the heart. You girls are all so talented. Now this card may be CAS, but it still darn cute. my goodness is a perfect CAS card, I love it!